First of all launch your Firefox Browser. Type ‘about:config’ in the Address bar and hit Enter. Now write this command ‘extensions.checkCompatibility’ and click OK.
On next window simply select ‘False’ and click Ok as shown in the image. Now you need to repeat the process again for making one more key. Right click on any key or at blank space and select ‘New’, and click on ‘Boolean’ as we did above. 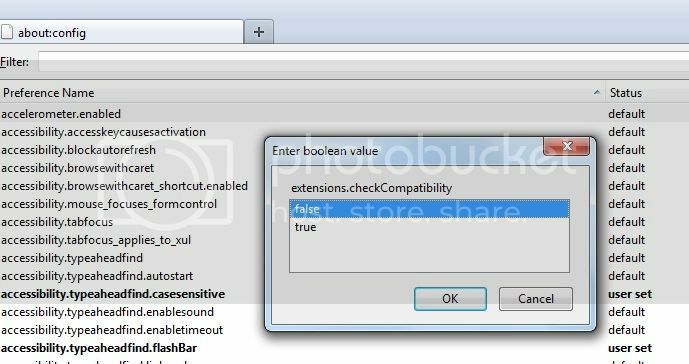 Write this ‘extensions.checkCompatibility’ and click OK as shown in the image.